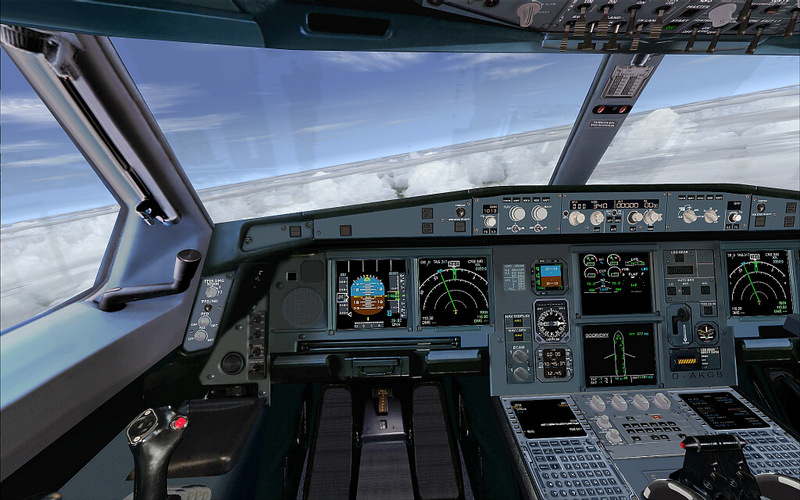 The AFS - World & City package contains a comprehensive package at new skyeffects and textures, that the Flight Simulator comprehensively improve. Those are exchanged standard autogene textures with new revised textures and adapted to the respective world area. The term " Texture" Mapping designates a procedure of the computer-generated graphic or 3D model. It serves for it to equip the surfaces of three-dimensional surface models with two-dimensional pictures - so-called „textures “- and surface properties. Textures let computer-generated pictures appear more highly detailed and more realistic, without the underlying model must be refined. - 3 AFS-weatherthemes for sommer- and wintertime. - New arranged autogenous objects special for the European and American area. - In Africa & Central America are improved savannahs and jungle surfaces.